Papers: In the Texas Governors Mansion Collection, 1836-1984, 14.423 cubic feet. 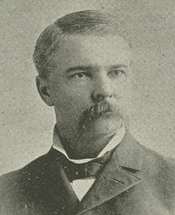 Persons represented include Governor Joseph Draper Sayers. Papers: 1834-1911. ca. 2 feet. Concern his work as Governor, Lieutenant Governor, U.S. Representative, Masonic activites, and business transactions. Finding aid in repository. Papers: In the Texas Governor Joseph D. Sayers Records, ca. 1886-1903, 14.57 cubic feet. The types of records of Governor Joseph Sayers include correspondence, reports, telegrams, lists, petitions, attorney general opinions, clippings, letterpress books, and financial records dating from 1886 to 1903, with the bulk of the materials dating from 1899 to 1903. Records are of Joseph D. Sayers terms as governor of Texas. Materials relate to three disasters that occurred during Sayers term in office: the fire at the Huntsville Penitentiary, the Brazos River flood, and the Galveston Island hurricane and flood. The governor handled the collection and disbursement of relief funds. Other documents reveal information about quarantines against human and animal disease, an outbreak of smallpox in Laredo, railroads, the Worlds Fair, and state agency business. Several letters and reports deal with an incident in which a train carrying African-American U.S. troops was fired upon near Houston. Correspondence with Elisabet Ney and Adelia Dunovant concerns statues and monuments to Stephen F. Austin, Sam Houston, and Albert Sidney Johnson. Also included are recommendations and requests for appointment to office; requests for pardons, paroles, extradition, and rewards; and letters from judges disqualifying themselves from hearing certain cases. Correspondents include Elisabet Ney, Adelia Dunovant, the Railroad Commission, other federal, state and local officials, contributors of relief funds, and citizens of Texas. Papers: In the Samuel Willis Tucker Lanham Papers, ca. 1880-1917, 8-1/2 inches. Persons represented include Joseph Draper Sayers. Papers: In the James B. Wells Papers, 1837-1926, approximately 73 feet.